The Maxi II Advance is menu driven and extremely easy to use: just program the length of incubation for your specie and the micro-controller holds the correct temperature, turning and length of incubation with no further input. The display counts down each day to tell you when eggs are due to hatch and turning will stop automatically 2 days prior to hatching. All you need do is top up periodically with water. 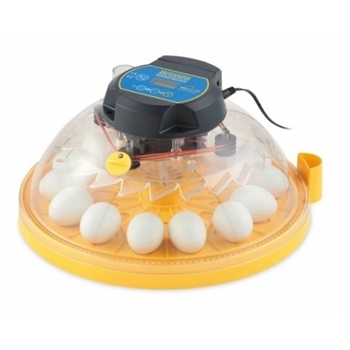 Ideal for learners, hobbyists and teachers wanting to hatch a dozen eggs in the classroom. For automatic humidity control see the Maxi II EX.